Coordinating and Monitoring Quality Information for the Copernicus Services: Case Study with Optical Data. Magellium and ESA are pleased to annonce a new publication of Sébastien Saunier and al. in IEEE related to quality coordination and monitoring for Copernicus services. Abstract : One of the key elements of Copernicus is its Space Component (CSC). Beyond the development of the Sentinel missions, the CSC also entails the coordination of assets made available by the data providers of Copernicus Contributing Mission (CCMs) to implement a synergistic and complete operational system-of-systems in Europe for the provision of Earth Observation (EO) data. In the framework of Copernicus, ESA is in charge of developing an efficient and harmonised system to facilitate access to relevant EO data by the Copernicus Service Projects (CSPs). This is achieved through the implementation of the Copernicus Space Component Data Access (CSCDA). 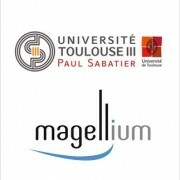 https://www.magellium.com/wp-content/uploads/2014/11/Magellium-small-logo.jpg 300 300 webmaster http://www.magellium.com/wp-content/uploads/2013/04/Logo_Magellium_270x156.png webmaster2015-08-24 11:32:002015-08-24 12:44:58Coordinating and Monitoring Quality Information for the Copernicus Services: Case Study with Optical Data. Magellium was present at WHISPER 2014 (core.ieee-whispers.com/) in Lausanne last June. The aim of this workshop is to bring together all the people involved in hyperspectral data processing. In the frame of the conference, Magellium has exposed results using ADMM for pan-sharpening fusion. 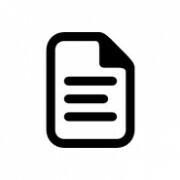 To read the publication http://bit.ly/Y0wn58.